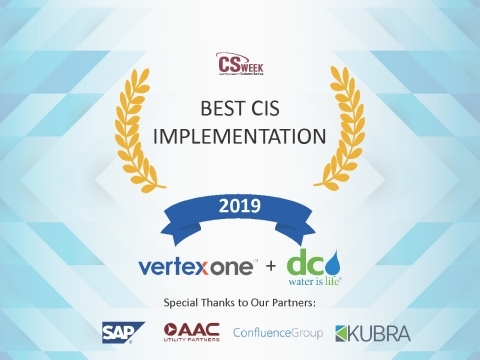 VertexOne, a leader in utility customer service solutions, today announced that its latest customer information system project with DC Water was recognized as the Level I Best CIS Implementation during CS Week's 2019 Expanding Excellence Awards ceremony. This annual award is given to the utility company that achieved a highly successful CIS project implementation during 2017-2018 based upon innovation, improved service levels, budget, schedule adherence and more. DC Water and Vertex (News - Alert) completed this project, which included implementing the VertexOne Customer Information System (CIS), Customer Self-Service web and mobile portal (CSS (News - Alert)), Mobile Workforce Management (MWM), and Bill Print/Payment Processing solutions in just 12 months. "This award is a significant accomplishment for DC Water, validating its dedication to serving its customers and providing them with the most sophisticated technology," said Andrew Jornod, Chief Executive Officer, Vertex. "As utilities look to the cloud to address the changing needs of customers, DC Water's innovative use of technology to adapt to an increasingly complex market landscape sets a new industry standard for others to follow." "The VertexOne solution exceeded expectations across all fronts, allowing us to enhance our system capabilities while also developing in-house expertise in the meter-to-cash cycle," said Thomas Kuczynski, Vice President of Information Technology, DC Water. "Vertex's team was instrumental in helping us deploy the system in record time and on budget, freeing us to focus our attention on what matters most - serving our customers." DC Water has 135,000 meters that serve government agencies along with residential, commercial and industrial customers - including all of the federal government buildings located in the District of Columbia - totaling 680,000 residents and over 20 million visitors annually. DC Water was working with a 16-year-old system, outsourcing several business processes within the meter-to-cash cycle to Vertex. The relationship had served the authority well, but DC Water knew that customers' expectations were evolving and improving the customer experience with rich self-service features was essential. To better engage its customers and adapt to an increasingly complex market landscape, they wanted to provide their customers with state-of-the-art technology and upgrade the core CIS for the future. Through a nearly year-long selection process led by AAC Utility Partners (AAC) and its signature methodology, NavigateOne, DC Water chose VertexOne and embarked on a major expansion of its existing Vertex partnership along with technology solutions including the Customer Information System from SAP (News - Alert); KONA Mobile Work Management; KUBRA EBPP, Bill Print, and Payments; Vertex Customer Self-Service Portal and customer mobile app; and Fujitsu Data Center Services. AAC led the negotiations and development of the Statement of Work that was the foundation for the implementation project. AAC also provided Project Management and Testing Leadership services for the DC Water project team, working with VertexOne in managing the delivery of the VertexOne Customer Platform. After just seven months, DC Water implemented the initial VertexOne customer self-service portal, www.mydcwater.com, and mobile self-service app. In addition, DC Water added new electronic billing and payment features powered by Kubra (News - Alert). The early launch of these features allowed DC Water to quickly improve the customer experience, while streamlining operations and positioning the organization to deploy more enhanced customer service features after the core CIS went live. 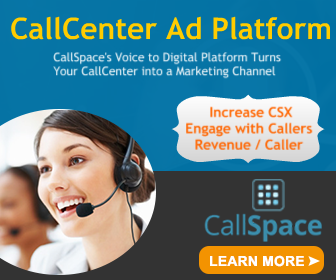 Customers effectively saw the new system five months early, significantly reducing the impact on the call center when the full system went live. At the end of 2017, DC Water completed the larger implementation of migrating from its 16-year-old customer information system to the VertexOne Customer Platform, built on SAP S/4HANA technology. Simultaneously, DC Water completed the implementation and integration of the VertexOne Mobile Workforce Management solution powered by KONA, from The Confluence Group. DC Water successfully deployed the system in record time and on budget with a 14-percent reduction in billing-related customer calls. The lifetime savings (seven-year forecast) that resulted from implementing this new system is estimated at over $22 million. "DC Water and Vertex have enjoyed a strong history spanning nearly two decades, and it was a privilege to witness how these industry leaders collaborated on how to best serve customers now and in the future," said Rick Cutter, Managing Partner, AAC Utility Partners. "From beginning to end, the entire process was executed flawlessly, setting an example for future utility industry implementations." Dedicated solely to the utility industry, Vertex Business Services has been a recognized leader in customer experience solutions for the past 20 years. Vertex serves nearly 10 million end customers for more than 30 electric, gas and water clients across North America. Through a wide range of innovative services and solutions-including the VertexOne cloud platform inclusive of CIS, MWM, MDM, and Customer Self Service-Vertex helps utilities more efficiently deliver a compelling customer experience while also driving utility operations forward. Vertex takes on the heavy lifting of keeping current with the rapid pace of technology changes, so utilities don't have to-leaving our customers more time to focus on core utility business and leaving the technology to us. For more information, visit https://www.vertexone.net. The District of Columbia Water and Sewer Authority (DC Water) is an industry leading multi-jurisdictional regional utility that provides drinking water and wastewater collection and treatment for millions of visitors, residents and employees in the District of Columbia, and also collects and treats wastewater for a population of 1.6 million in Montgomery and Prince George's counties in Maryland and Fairfax and Loudoun counties in Virginia. DC Water's service area covers approximately 725 square miles and the enterprise operates the world's largest advanced wastewater treatment plant with a capacity of 370 million gallons per day and a peak capacity of 1.076 billion gallons per day. Blue Plains is also a model in sustainability, with anaerobic digesters burning sludge for combined heat and electricity and plans for green infrastructure on an unprecedented scale to reduce combined sewer overflows. About AAC Utility Partners, LLC. AAC Utility Partners, LLC provides consulting services exclusively to utilities for the transformation of mission critical systems. AAC is a vendor-independent consulting firm providing services for utilities mission critical systems. AAC assists clients in the areas of Strategy, Selection, Cloud Adoption, and Project Implementation Leadership Services (utility-side only). AAC is the leading independent Cloud consulting firm focused on utility industry specific applications and business process services.